Minister of State Edmund Castro has been having a warm time of it lately. He finished off last week in court, where the judge and the public had to listen to hours of very compelling and unpleasant testimony – first about distinctly low points in his political career, and then about his alleged involvement in the illegal facilitation of visas. Then on Wednesday he was bombarded with allegations of using private land in Santa Marta to grow cane for his personal gain. And today, there is more fuel to add to the fire simmering under the seat of the embattled Area Representative. 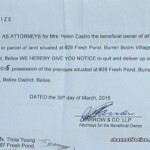 Tricia Young, the holder of a valid lease in Fresh Pond, Castro’s constituency, has been given an eviction notice and ordered to vacate her home. 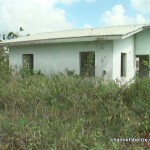 That eviction notice was served on her by persons acting on behalf of Helen Castro, the wife of Minister Edmund Castro. Mike Rudon has been following the situation and has the story. Tricia Young first came to the small community of Fresh Pond in 2013. She is a voter in Queen Square, so was given this abandoned home by the sister of the Prime Minister. It doesn’t look like much, but it signalled a new start for a single mother of four young children. And that brings us to today’s story which surrounds this large corner lot in Fresh Pond, #28. It had been abandoned for years, covered by head-high bush, but slowly was transformed by the young woman and her kids trying to start over. The first sign that something wasn’t quite right was in December 2013, when Young says she got a visit from her Area Representative, the Hon. Edmund Castro. 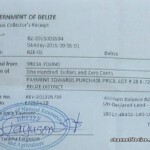 And Young has those documents – a lease certificate issued in September 2013, and a Land Purchase Approval Form issued one month after, in October 2013. 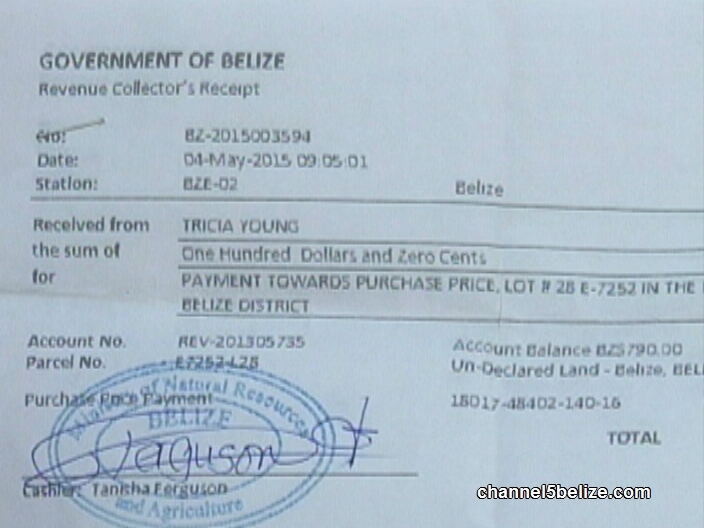 She also has a receipt for payment she has made towards purchasing that parcel of land. 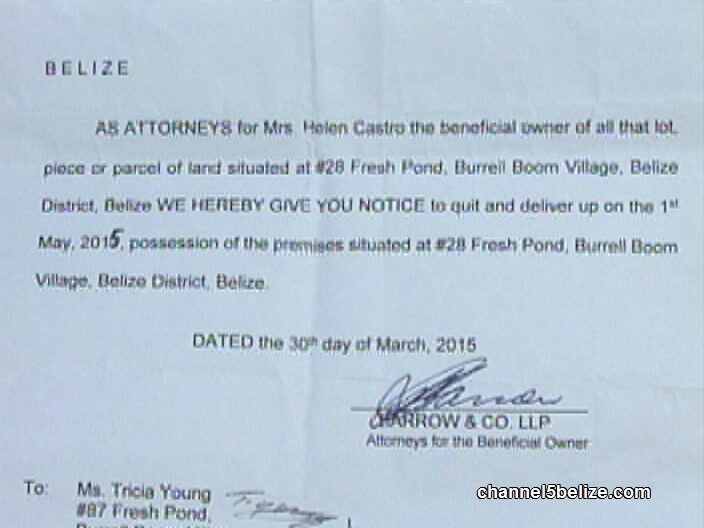 And that’s why Young was so surprised by a visit she got in April 2015 with some bad news…this time an eviction notice on behalf of Helen Castro, with that notice claiming that Castro is the beneficial owner of that parcel and Young has until May first to, quote – quit and deliver the premises,” end quote. Young has decided to fight, since the land is in her name at the Lands Department, and she can’t understand how the wife of Edmund Castro, Helen Castro, could possibly be the beneficial owner of a property registered in her name. Mike Rudon reporting for News Five. 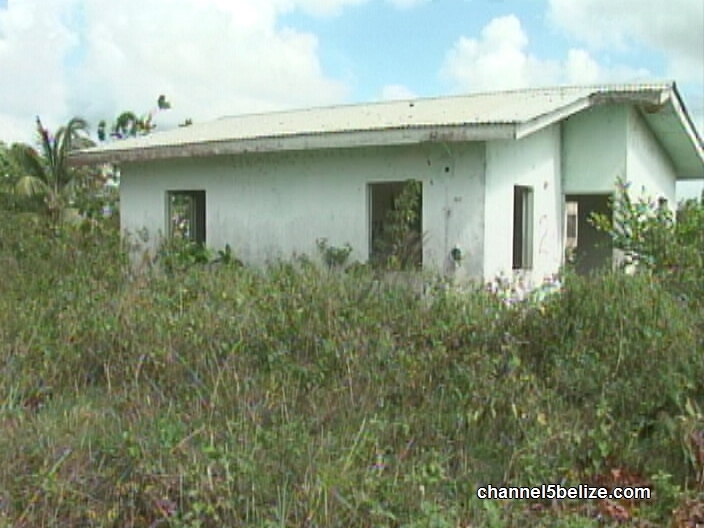 News Five tried to reach Commissioner of Lands Wilbert Vallejos for comment, but he did not answer our calls. Young has sought legal advice in the matter. 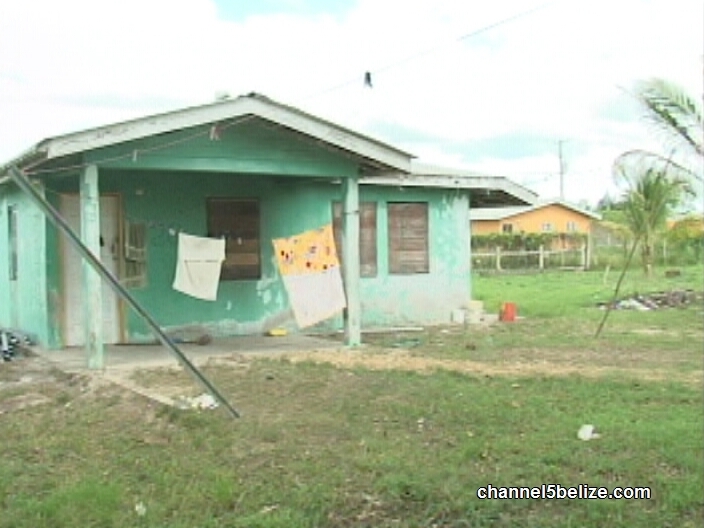 Ali and the forty thieves own all the land in Belize. The thieves own the government, they create new titles as needed to confiscate land. 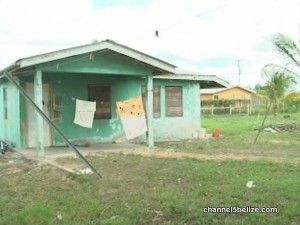 This is Barrow’s Belize, soon to be called the Republic of Barroduras, owned officially by Ali and the forty. Get used to being screwed and downtrodden. God is also against you, He is pro-UDP! You must move, Ali gave the land to Bootyman Castro. Thank you for all the hard work you did to improve the property, Helen is thankful. I hope a good lawyer steps up to help this woman, for free!